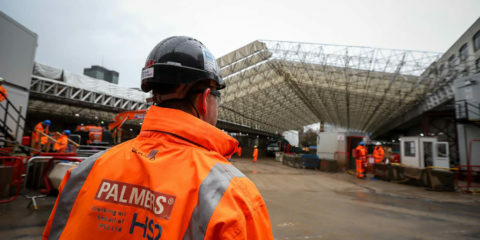 Palmers are expert specialists in long term industrial service maintenance contracts and fast track construction projects, specialising in scaffolding and access solutions. Formed in 1880, Palmers is the most established UK scaffolding firm – providing access solutions across the whole of Britain, from its Glasgow HQ. Palmers offer tube & fitting, modular system scaffolding, cherry pickers, rope access, cranes and other innovative access solutions. 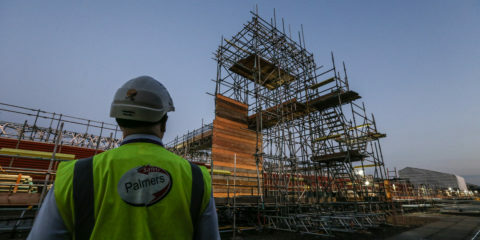 The Palmers brand provides a quality scaffolding service on some of the most important sites and prestigious projects within the petrochemical, power generation, construction, marine, nuclear, railway and airport market sectors. 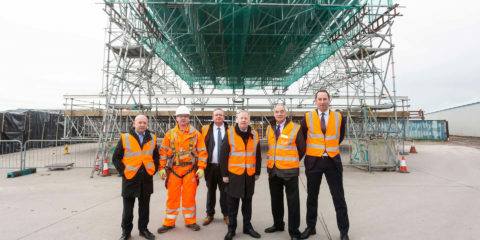 Our modern and strategically placed network of offices and depots allow our highly trained and experienced scaffolding operatives and management team to carry out premier access solutions anywhere in the country. Contact us today for a professional estimation & access provision service to help your project finish successfully – on time and on budget. Palmers Receive CSJV ‘Subcontractor Of The Year Award’ For Special Access Works At Euston Station Leading scaffolding and special access providers, Palmers Scaffolding UK Ltd have netted a CSJV main contractor ‘Sub Contractor Of The Year Award’ for demonstrating “exceptional pe ..
HS2 contracts boost opportunities for businesses in Wales, creating jobs and securing growth Nearly 20 companies in Wales are already benefiting from contracts with HS2 – Britain’s largest infrastructure project, providing jobs and skills opportunities for people in Wales. 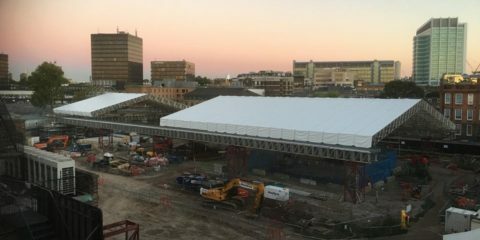 ..
Palmers Special Access Solutions At Euston Station Palmers are providing large-scale special access solutions and scaffolding for the prestigious St James Park London Euston Station HS2 enabling construction works. The scaffold con ..
Palmers Provide Complex Scaffolding Solutions For Balfour Beatty’s Heathrow T4 Roof Light Renovation Project Leading British access brand, Palmers Scaffolding UK are providing highly complex scaffolding and weather protection solutions to assist with Balfour Beatty’s renovation of the roo ..
Is there someone you want to speak to at Palmers?